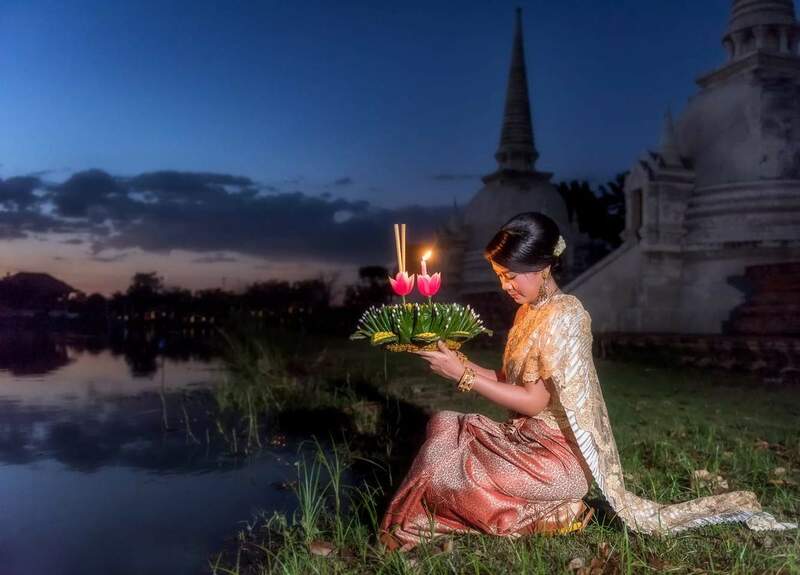 Loy Krathong is a traditional festival native to Thailand and is a major tourist attraction on the island. 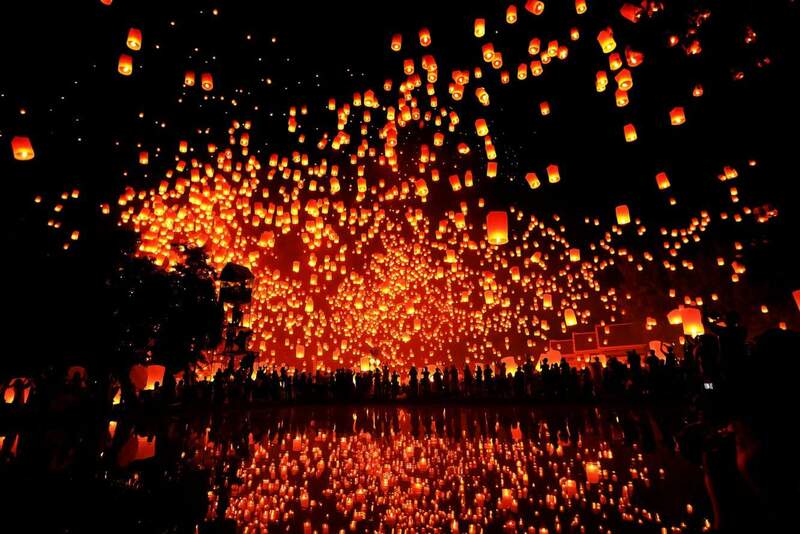 It is celebrated annually and is marked as the ‘festival of lights’. The name of the event can be translated to mean ‘float a basket’, derived from the age-old practices of creating decorative baskets which are then released and remain afloat on the river. These specially designed baskets are known as krathrongs, hence the name of the festival. Traditionally, krathrongs were designed from banana trunk pieces to ensure buoyancy. Modern kathrongs, however, are made from either bread or modified plastic (although the latter is discouraged due to water and environmental pollution). The highlight of the event is the inclusion of candles in the krathrongs so that the floating baskets create a fantastic array of lights that give Loy Krathong the name ‘festival of lights’. Locals and visitors alike are enthralled by the sheer delight of setting the baskets afloat; usually done as one makes a wish. Some individuals toss a coin to appease the river spirits and bring good luck their way. Watching the krathrongs float away is an exciting experience, especially for first-time visitors. The sight of thousands of lights, drifting away and the gentle breeze causing the flames to flicker in the calm of the night is a breathtaking experience. I am little confused. I found in some places that this festival is on 14.11. and in some 15.11. 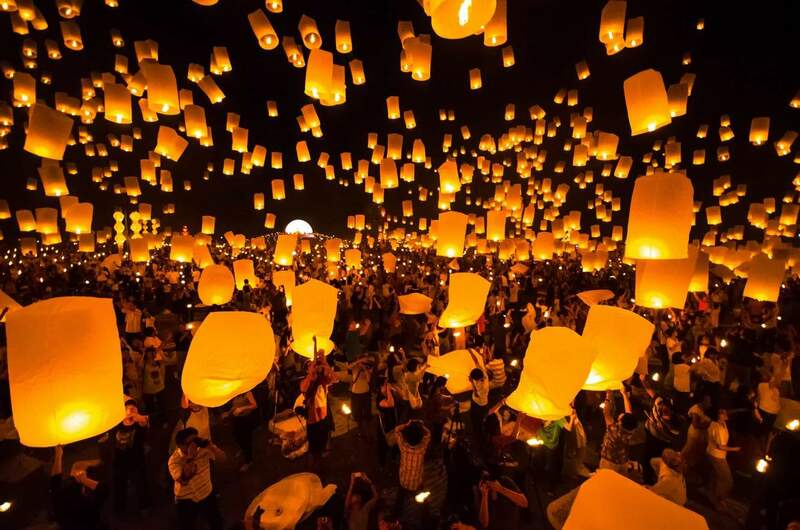 We are going to stay on Koh Samui and we want to go on Full Moon party at Koh Panghan. Is it possible to attend both events? The difficulty with planning on Koh Samui, is that the Thai people don’t always keep to schedule. 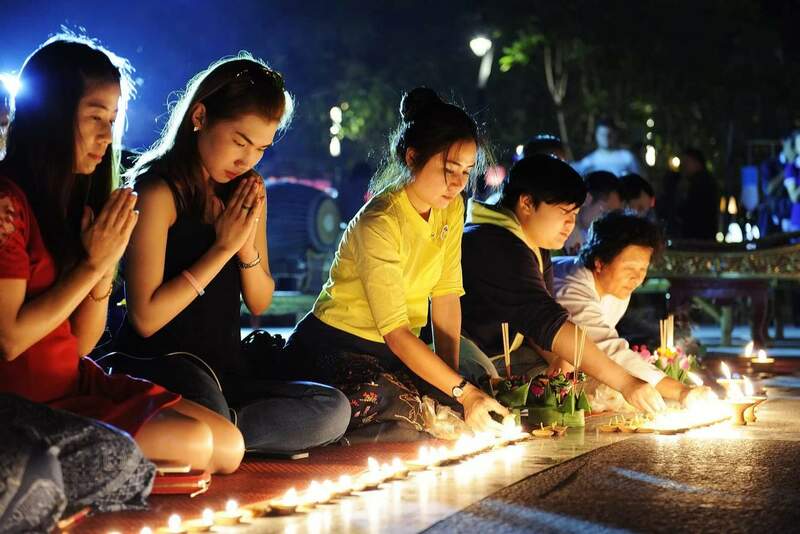 This is why you have found two dates noted for the Loy Krathong Festival. You are best to leave your plans fluid so that you can organise activities when you are there. The best information I have is that it will be held on the 15th which is the night of the full moon. Therefore, both events will fall on the same day. I suggest you keep the 14th free just in case there are some festivities around where you are staying for Loy Krathong. And, to get the most up to date information on what is on around your location, I suggest you ask the staff at your hotel when you arrive. 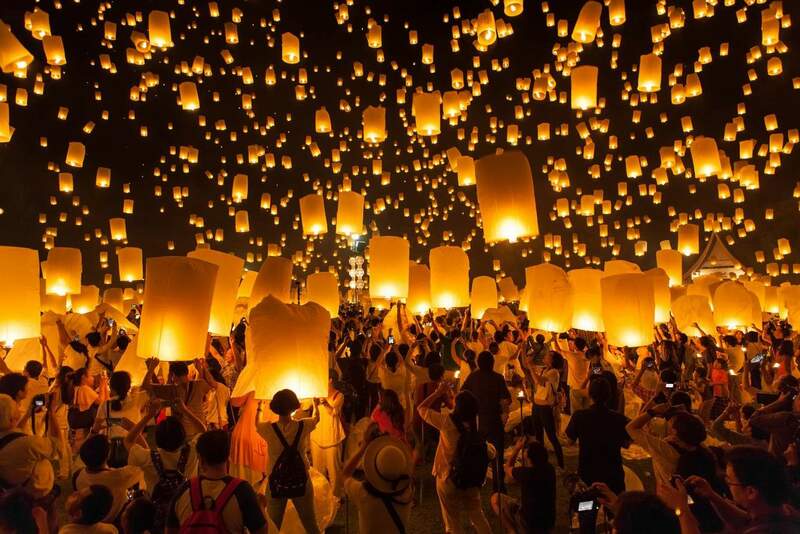 I’ll be staying in Koh Phangan from Nov 14th to 16th for FMP, but I wonder, if the Loy Krathong is on the 15th in Koh Samui, is it possible for me to watch it and then come back by ferry to Koh Phangan to sleep? What time does the festival start and how long does it last? Will there be any ferries left after if ends? The festival commences at dusk and lasts as long as the locals are celebrating. There is no official start or finish time, which is typical of Thai events, but there will be lots and lots of people around until at least 10pm. However, the ferries don’t run late, so I don’t think you will have much luck finding a ferry to take you back late in the evening. Check the ferry booking system on our Full Moon Party page here. There is always the option of paying a private operator, but this will need to be negotiated in person or organised by your hotel, as most things in Koh Samui are not able to be booked online. This event will be held on November 15th. The festivities start at around sunset (5.50pm) all over the island. Different locations will have different events and times, but you will find that the festivities last a number of hours into the evening. As with all things in Thailand, there is no exact science with start/finish times. You are best to get to the island and ask your accommodation provider for the latest information about the best locations to view the 2016 festival. Enjoy your trip to Koh Samui!